The Indian national, identified as M Thomas by the Sri Lankan media, was arrested on Tuesday from the residence of the anti corruption movement operations director Namal Kumara, who exposed the assassination plot, CID chief inspector Ranjith Munasinghe informed the Fort Magistrate Court. 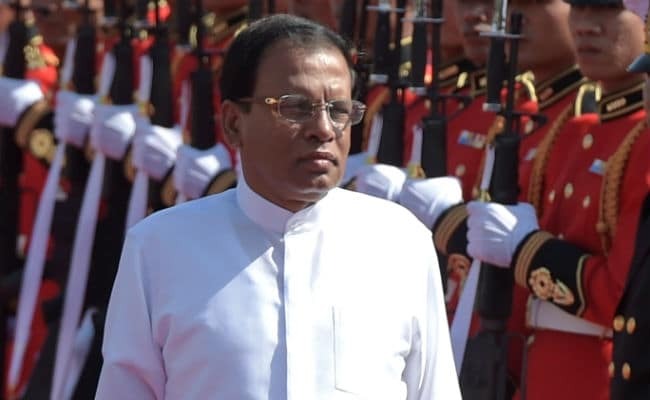 An Indian national who was aware of an alleged plot to assassinate Sri Lankan President Maithripala Sirisena has been arrested, a court was told. According to news agency PTI, the Indian national, identified as M Thomas by the Sri Lankan media, was arrested on Tuesday from the residence of the anti corruption movement operations director Namal Kumara, who exposed the assassination plot, CID chief inspector Ranjith Munasinghe informed the Fort Magistrate Court in Sri Lanka. Magistrate Jayaratne instructed the Criminal Investigations Department (CID) to further interrogate Thomas and report the findings to the court. Thomas was arrested when he visited Namal Kumara's home at Warakapola in south western Sri Lanka. Namal Kumara had revealed that former in-charge of the Terrorist Investigation Division DIG Nalaka de Silva had discussed with him the alleged plot to assassinate President Sirisena and the former Defence Ministry Secretary Gotabhaya Rajapaksa, the court was told. Nalaka de Silva was questioned by the CID on Namal Kumara's revelations. He has been transferred out of the terrorism bureau pending investigations. According to news agency PTI, M Thomas who was taken into custody for his alleged links to Namal Kumara, arrived in Sri Lanka on a tourist visa, which he overstayed, the court was told. Meanwhile, the court has ordered to check the authenticity of sound tapes which Namal Kumara had produced purported to be conversations between him and Nalaka de Silva.